Mine are from artwallproject on etsy. They're such a great source for wall decals! So nice about making custom listings, and their prices are super reasonable, especially when they're sweet enough to give discounts the way they do. Yay!!! Love them, support them! ♥ The new Anthropologie catalog showed up in my mailbox today and I just want everything in it. This is an unusual statement for me to make, but oh my gosh I just want to go shopping. 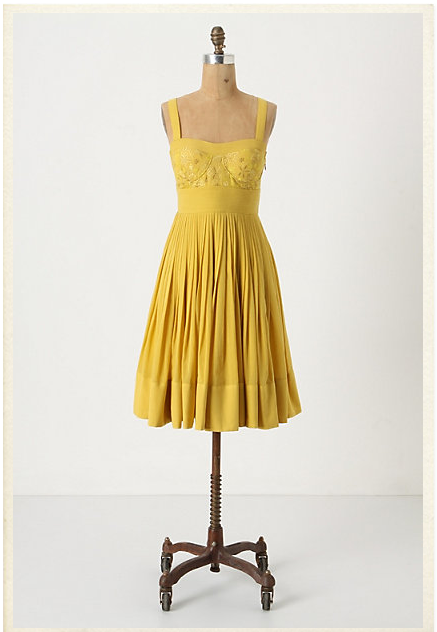 Speaking of which, I've been stalking this dress for ages and now it's on sale and I want it so badly. It's basically perfect. I'd order it right this very moment, but I've never tried it on and I have no idea what size I am since i'vebeenlosingweight. 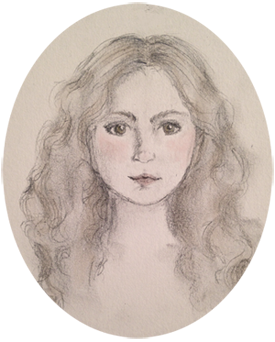 (I haven't talked much about that here because this isn't a weight-loss blog and, well, what is there to say, really? Adding lots of yoga and subtracting unhealthy food just has that effect.) But I am desperately hoping to track down this dress when I get back to the city... aaaaaugh! I just went to the page for the dress so I could link it, and it's no longer available! From this morning! Well, maybe it'll be hiding in one of the sales rooms in the NYC stores. And if not, I guess I just wasn't meant to have it and there will probably be some other dress that I just can't live without. ...Still, I really hope it's there. ♥I'm getting a shelf for my groceries/dishes/kitchen stuff to put in my dorm room! I've been using a three-drawer plastic cabinet thing and it was a hassle because if something isn't positioned just right, the drawers get stuck. Plus I'll be able to use my cute but unnecessarily large collection of mugs to decorate, along with the pretty tins that some of my tea comes in. Yay! ♥Doing my summer homework has made me so excited to get back to designing. I'm going to put some extra effort into my design journals, too. Given how much I like journals and inspiration pictures and color samples and fabric swatches, this shouldn't be a problem. I'm happy with my finished work, now it's time to go back and work on the process. Have I mentioned that the tea I had this afternoon was totally not decaf? Goodness me, the wonders that does for productivity. And blog post word-counts. Are you doing anything fun to get ready to go back to school? 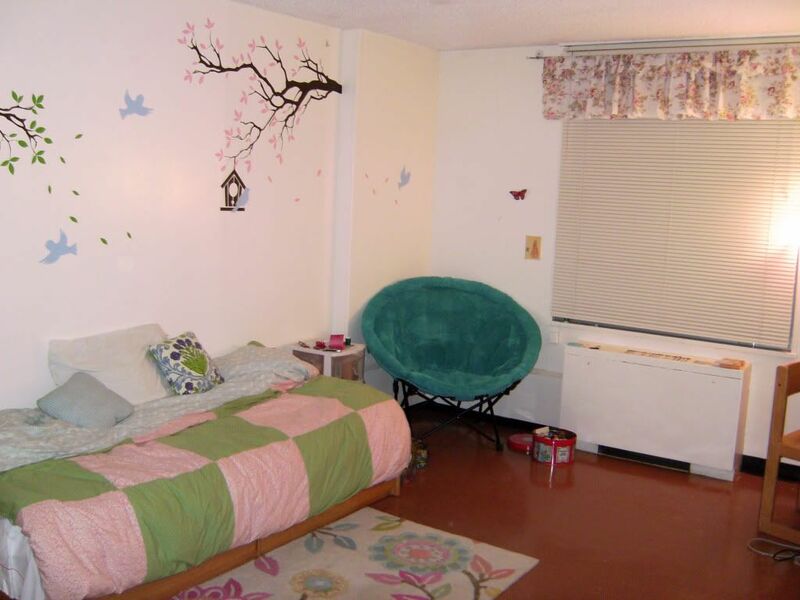 Such a pretty dorm room! Amanda leaves for college in 2-1/2 weeks. We are both so excited. She's been away from home lots of times before and was even gone for over 3 years but she's still nervous about the new adventure. The wall art is ADORABLE! We haven't seen her dorm yet but after she's all settled I just might surprise her and send her a decal set. Ok, Now about that dress...it's beautiful! And I want to know why you've been stalking this dress as opposed to copying it and making it yourself. Well? Thank you so much! Betcha she'll have more opportunity to decorate in college than in the military, somehow I don't think my flowers-and-trees-and-birds room would be quite up to regulation standards. :P How exciting and nervewracking for Amanda! Eep! I am thinking of making a version for myself... if the Anthropologie one fits perfectly I might get it, but the sizing is apparently very odd, so I might be left with no choice but to make it myself, especially considering it's pretty much sold out. Unfortunately, part of designing and making clothing for school means that one of the big thrills of shopping is having something show up in one's closet without having made it!